It doesn’t matter what nations they come from, or what their culture is. They’re all God’s people, praising and worshiping Him with one voice. 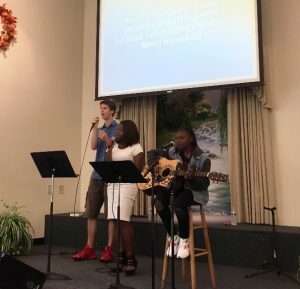 Grace Brethren Church in Alexandria, Va. (Ken Worley, pastor), is home to about 30 members from the Central African Republic. They are here on asylum, student visas, work visas, or have become citizens, but all of them are part of the body of believers that make up this congregation. The Central Africans discovered Grace Brethren Church when Noel, who worked as security for the Central African Republic embassy, began looking for a Grace Brethren church like he’d experienced at home. When he found the Alexandria congregation, he and a friend began to attend. It wasn’t long before they brought others who were working at the embassy or had emigrated to the U.S. The church has adopted them as their own. Missionaries began planting churches in the Central African Republic nearly 100 years ago. It was in 1918 that James and Florence Gribble left the U.S. for Africa, though it wasn’t until 1921 that permission was received from the French to enter what was then the Oubangui-Chari region. There are currently approximately 2,700 churches in the C.A.R. 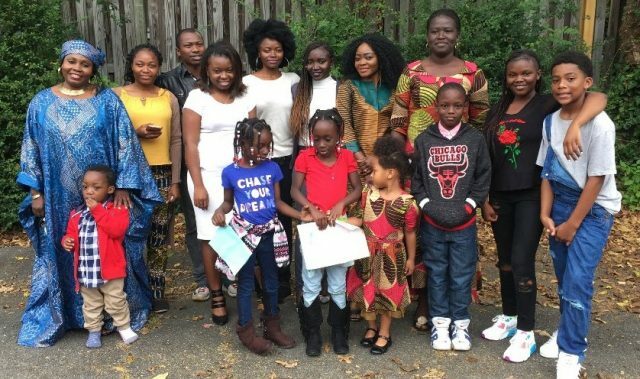 As the word first got out to Central Africans in the D.C. region that there was a Grace Brethren (Charis Fellowship) church in Alexandria, Va., they were overjoyed. Maxime died in May 2016 at the age of 37, leaving Adeline with six children, ranging in age from 2-16. At the funeral, an offering was taken to help with their needs. Several families raised money to purchase a mini-van for the family. Veronique, another Central African, moved in with her family to help care for the children, and nearly two years later, she is still living with and caring for the family. Most of the Central Africans speak three languages: Sango, which is their national language, French, and a tribal language. When many of the families first started attending, they were still learning English, their fourth language. On Easter, a group of Central Africans will sing some songs in Sango. The church does this occasionally, and the congregation loves it. Having the Central Africans join has been a great blessing to the church. Click here to send a note of encouragement to Ken Worley and his church. Feature photo: some of the Central Africans who attend Grace Brethren Church, Alexandria, Va.